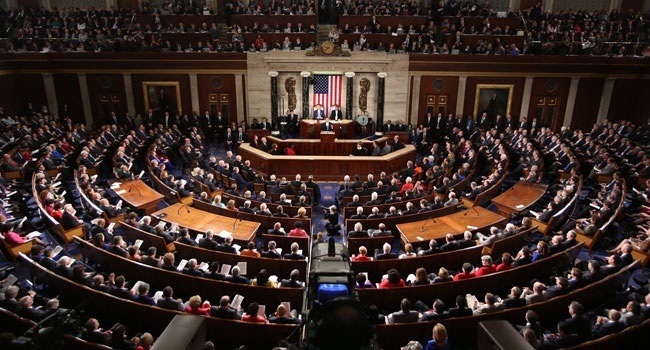 The US House of Representatives on Thursday narrowly approved a bill to repeal Obamacare. It was like handing Republican President Donald Trump a short-lived victory, since the healthcare legislation still has to scale through likely tough battle in the Senate. The vote to repeal former President Barack Obama's signature domestic achievement, which enabled 20 million more Americans to get health insurance, was Trump's biggest legislative win since he took office in January, putting him on a path to fulfilling one of his key campaign promises as well as a seven-year quest by Republican lawmakers. Reuters reports that with Thursday's 217-213 vote, Republicans obtained just enough support to push the legislation through the House, sending it to the Senate for consideration. No Democratic House members voted for the bill. Democrats say it would make insurance unaffordable for those who need it most and leave millions more uninsured. They accuse Republicans of seeking tax cuts for the rich, partly paid for by cutting health benefits. "I went through two years of campaigning and I'm telling you, no matter where I went, people were suffering so badly with the ravages of Obamacare," Trump said. "We are going to get this passed through the Senate. I am so confident.